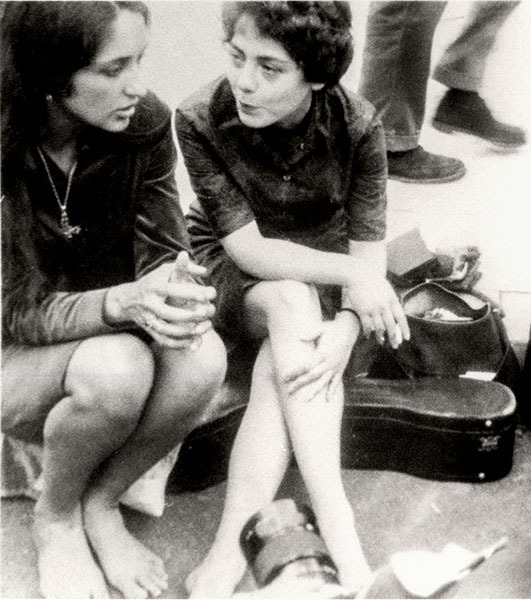 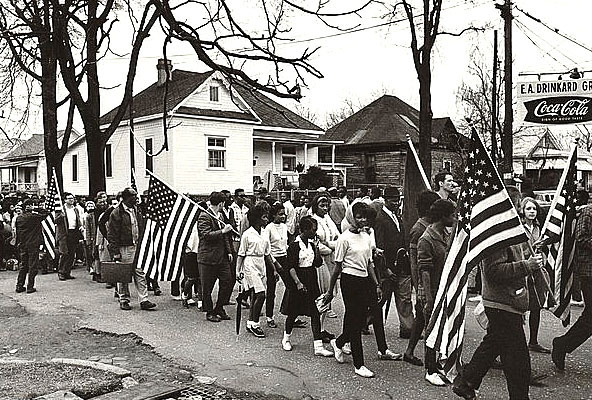 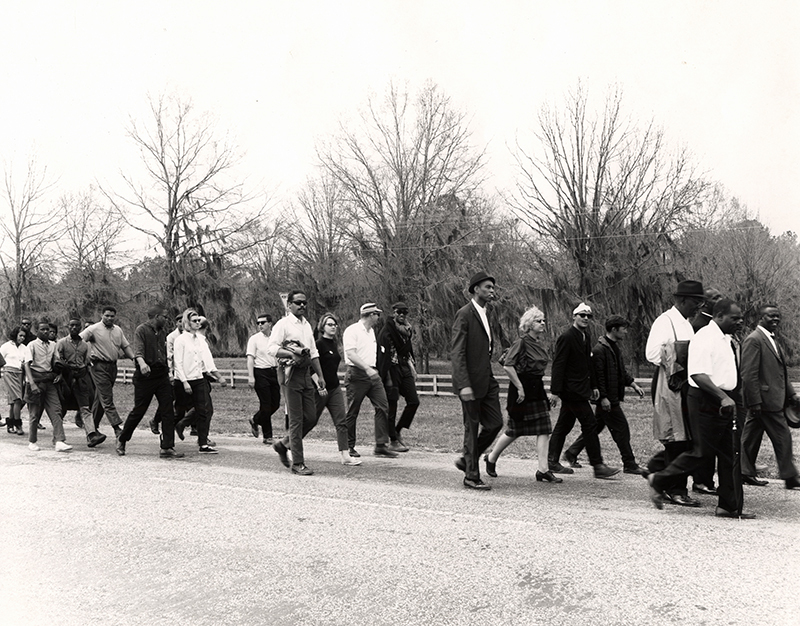 The Selma voting rights demonstrations of early 1965 culminated in March with the march from Selma to Montgomery. 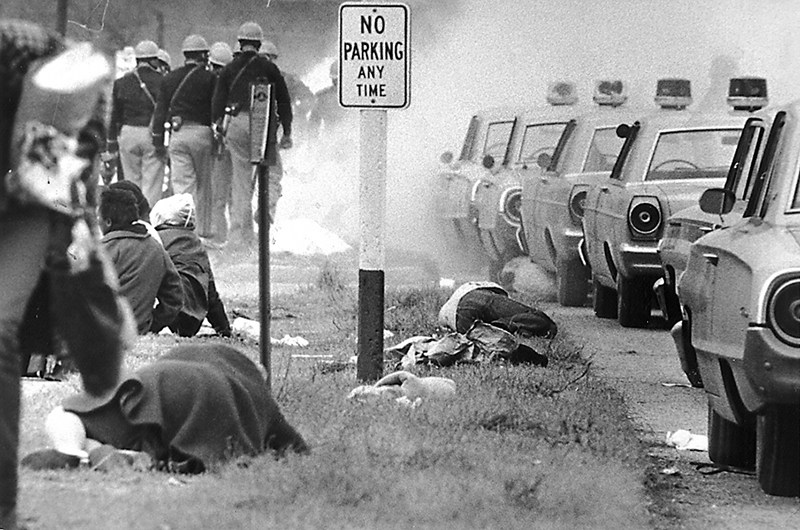 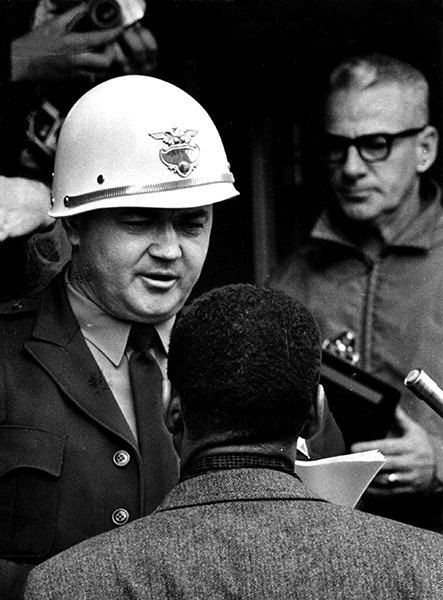 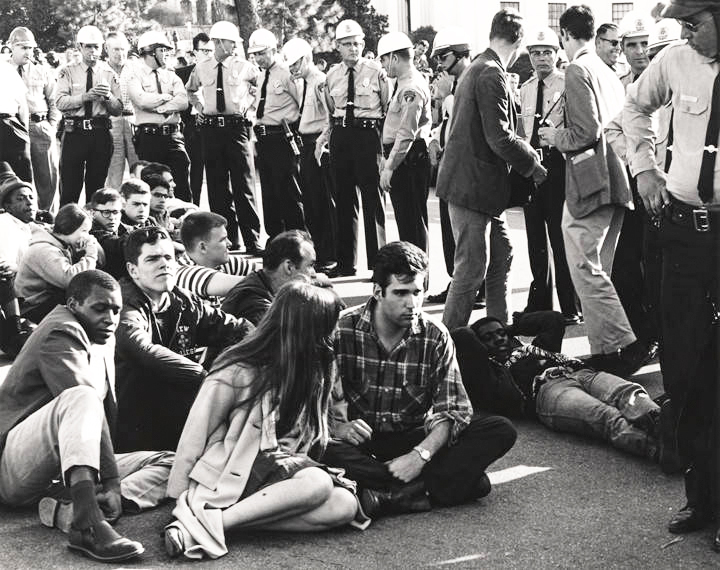 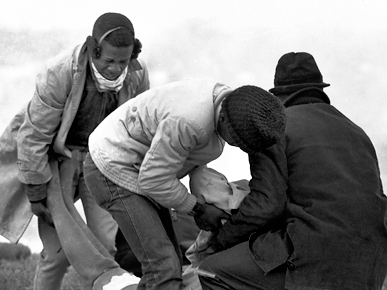 Participants were turned back by sheriff's deputies and state troopers, who beat and tear- gassed them at the Edmund Pettus Bridge, on March 7, later known as Bloody Sunday. 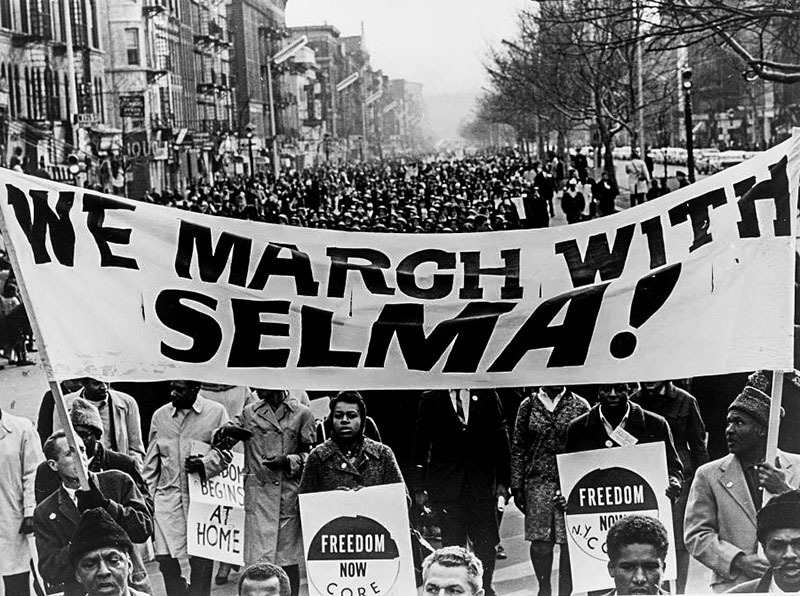 After another failed attempt on the bridge two days later, the march finally went forward March 17. 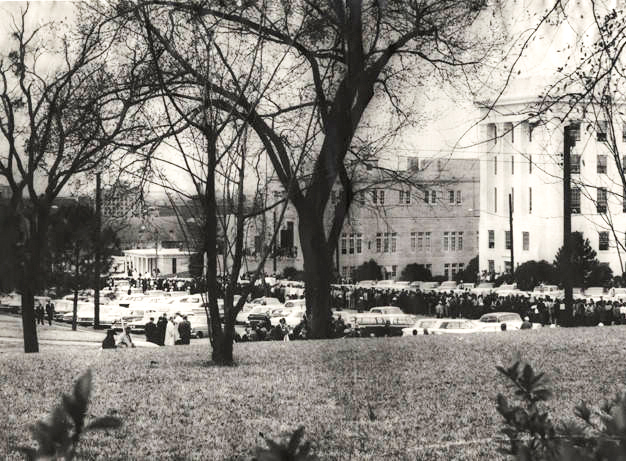 On March 25 more than 20,000 demonstrators gathered at the Alabama state capitol in Montgomery. 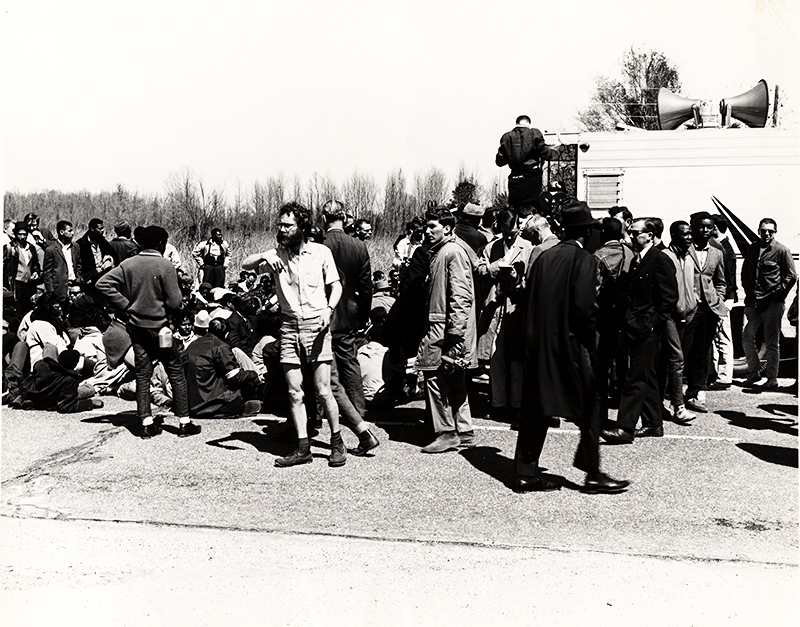 The effort was led by civil rights leaders Rev. 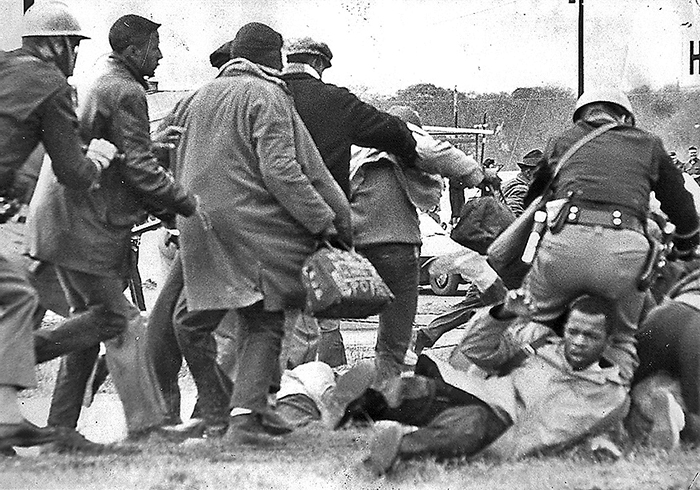 Martin Luther King Jr., John Lewis, and Hosea Williams.